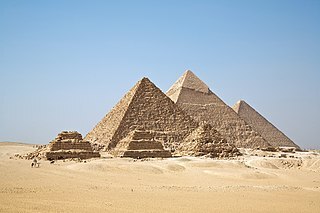 Concurrent with these cultural advances, a process of unification of the societies and towns of the upper Nile River, or Upper Egypt, occurred. At the same time the societies of the Nile Delta, or Lower Egypt also underwent a unification process. Warfare between Upper and Lower Egypt occurred often. During his reign in Upper Egypt, King Narmer defeated his enemies on the Delta and merged both the Kingdom of Upper and Lower Egypt under his single rule. Narmer is shown on palettes wearing the double crown, composed of the lotus flower representing Upper Egypt and the papyrus reed representing Lower Egypt - a sign of the unified rule of both parts of Egypt which was followed by all succeeding rulers. In mythology, the unification of Egypt is portrayed as the falcon-god, called Horus and identified with Lower Egypt, as conquering and subduing the god Set, who was identified with Upper Egypt. Divine kingship, which would persist in Egypt for the next three millennia, was firmly established as the basis of Egypt's government. The unification of societies along the Nile has also been linked to the end of the African humid period. Damaged basalt head of a foreigner, from a door socket. Early Dynastic Period, 1st to 2nd Dynasties. From Thebes, Egypt. Mesopotamian king as Master of Animals on the Gebel el-Arak Knife, dated circa 3300-3200 BC, Abydos, Egypt. Louvre Museum, reference E 11517. This work of art both shows the influence of Mesopotamia on Egypt at an early date, and the state of Mesopotamian royal iconography during the Uruk period. ^ Shaw, Ian, ed. (2000). The Oxford History of Ancient Egypt. Oxford University Press. p. 479. ISBN 0-19-815034-2. ^ a b Carl Roebuck, The World of Ancient Times, p. 53. ^ a b Kinnaer, Jacques. "Early Dynastic Period" (PDF). The Ancient Egypt Site. Retrieved 4 April 2012. ^ Cooper, Jerrol S. (1996). The Study of the Ancient Near East in the Twenty-first Century: The William Foxwell Albright Centennial Conference. Eisenbrauns. ISBN 9780931464966. 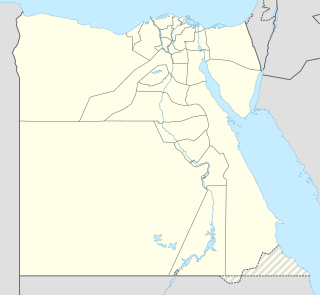 Upper Egypt is the strip of land on both sides of the Nile that extends between Nubia and downriver (northwards) to Lower Egypt. Lower Egypt is the northernmost region of Egypt: the fertile Nile Delta, between Upper Egypt and the Mediterranean Sea — from El Aiyat, south of modern-day Cairo, and Dahshur. Historically, the Nile River split into seven branches of the delta in Lower Egypt. Lower Egypt was divided into nomes and began to advance as a civilization after 3600 BC. Today, it contains two channels major that flow through the delta of the Nile River. The Narmer Palette, also known as the Great Hierakonpolis Palette or the Palette of Narmer, is a significant Egyptian archeological find, dating from about the 31st century BC, belonging, at least nominally, to the category of Cosmetic palettes. It contains some of the earliest hieroglyphic inscriptions ever found. The tablet is thought by some to depict the unification of Upper and Lower Egypt under the king Narmer. On one side, the king is depicted with the bulbed White Crown of Upper (southern) Egypt, and the other side depicts the king wearing the level Red Crown of Lower (northern) Egypt. 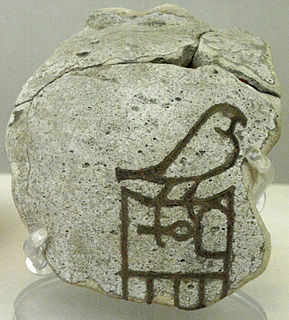 Along with the Scorpion Macehead and the Narmer Maceheads, also found together in the Main Deposit at Nekhen, the Narmer Palette provides one of the earliest known depictions of an Egyptian king. The Palette shows many of the classic conventions of Ancient Egyptian art, which must already have been formalized by the time of the Palette's creation. The Egyptologist Bob Brier has referred to the Narmer Palette as "the first historical document in the world". Nekhen or Hierakonpolis was the religious and political capital of Upper Egypt at the end of prehistoric Egypt and probably also during the Early Dynastic Period. Thinis or This was the capital city of the first dynasties of ancient Egypt. Thinis is, as yet, undiscovered but well attested to by ancient writers, including the classical historian Manetho, who cites it as the centre of the Thinite Confederacy, a tribal confederation whose leader, Menes, united Egypt and was its first pharaoh. Thinis began a steep decline in importance from Dynasty III, when the capital was relocated to Memphis which thought to be the first true and stable capital after unification of old Egypt by Menes, this is despite of the power of the southern city Thinis and its kings. Its location on the border of the competing Heracleopolitan and Theban dynasties of the First Intermediate Period, and its proximity to certain oases of possible military importance, ensured Thinis some continued significance in the Old and New Kingdoms. This was a brief respite and Thinis eventually lost its position as a regional administrative centre by the Roman period. Naqada III is the last phase of the Naqada culture of ancient Egyptian prehistory, dating approximately from 3200 to 3000 BC. It is the period during which the process of state formation, which had begun to take place in Naqada II, became highly visible, with named kings heading powerful polities. Naqada III is often referred to as Dynasty 0 or the Protodynastic Period to reflect the presence of kings at the head of influential states, although, in fact, the kings involved would not have been a part of a dynasty. They would more probably have been completely unrelated and very possibly in competition with each other. In this period, those kings' names were inscribed in the form of serekhs on a variety of surfaces including pottery and tombs. The cosmetic palettes are archaeological artifacts, originally used in predynastic Egypt to grind and apply ingredients for facial or body cosmetics. The decorative palettes of the late 4th millennium BCE appear to have lost this function and became commemorative, ornamental, and possibly ceremonial. They were made almost exclusively out of siltstone with a few exceptions. The siltstone originated from quarries in the Wadi Hammamat. Egypt-Mesopotamia relations seem to have developed from the 4th millennium BCE, starting in the Uruk period for Mesopotamia and the Gerzean culture of pre-literate Prehistoric Egypt. Influences can be seen in the visual arts of Egypt, in imported products, and also in the possible transfer of writing from Mesopotamia to Egypt, and generated "deep-seated" parallels in the early stages of both cultures.